James and Rhianwen McIntosh live near Falkirk with their four children. 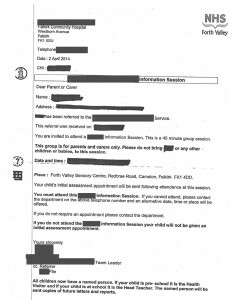 They’ve been told that their children have already been assigned Named Persons, even though the scheme is not due to come into effect until 2016. They haven’t been told who these Named Persons actually are. 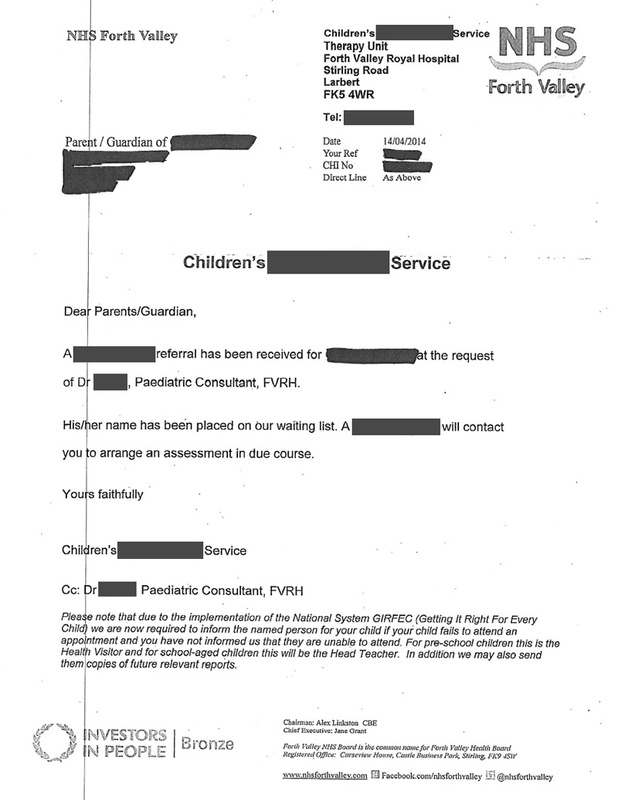 The McIntoshes say they weren’t given any opportunity to opt out of this unwanted and unnecessary disclosure of their children’s medical records. And Mr McIntosh commented: “The whole fundamental point of consent seems to have been done away with, swept underneath the carpet. “We’re concerned as parents that our role is being undermined, that there is an implicit lack of trust that we are the best people to bring our children up. 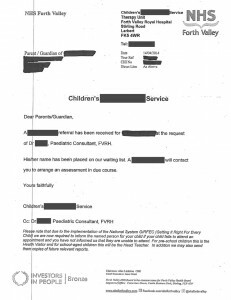 UPDATE: In response to publicity about this story, Forth Valley NHS issued a statement saying that “information about children who miss hospital appointments will not be routinely passed or forwarded to the child’s named person… letters which suggested this would automatically happen have now been withdrawn”. 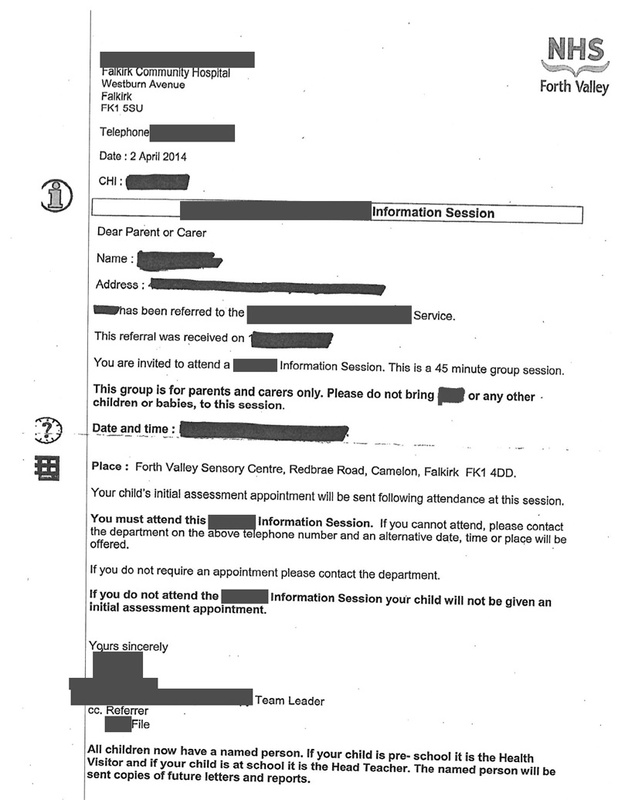 Whilst they have made clear that this personal information will not now be forwarded “automatically” to Named Persons, they have not explained what circumstances will trigger a decision to forward information about missed appointments.